Many schools mainstream children who have disabilities into the general education classroom. This provides fantastic opportunities for students with disabilities and those without to learn and interact with one another. Art serves as a great medium to foster social growth, to enforce positive interactions, and to learn how to effectively communicate with one another. 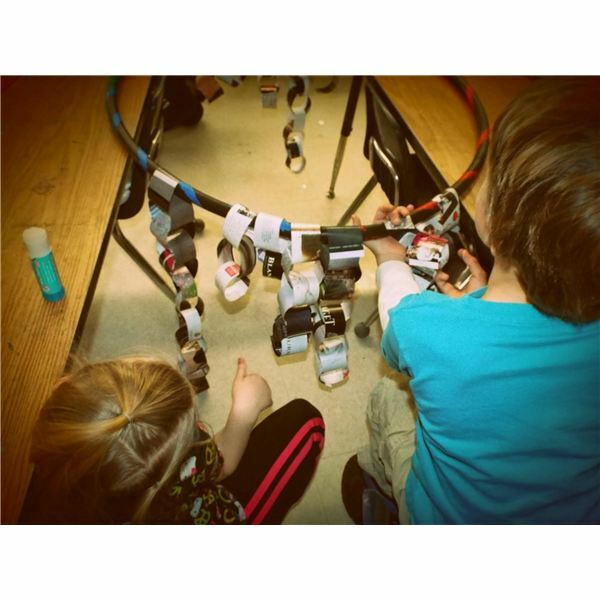 Students are going to explore recycled art through collaboration using simple materials in order to set all students up for success. 1. The teacher should explain the importance of using a variety of materials in art, some of those being recycled. The discussion should also be led into the importance of collaboration in art, and how sometimes artists work together to create one piece. This is a hard lesson to teach to young children as they often question who is going to keep the piece in the end, or how they are going to take their contribution home. 2. Students will then be taught how to create paper rings, by looping a piece of paper around to create a circle and gluing the ends together. The teacher then shows how to loop an additional piece through to create two interlocking rings. This process can be repeated over and over to create a long strand. 3. Encourage students to work on multiple hula hoops which allows for social interactions among all students. Children with physical disabilities can use hand over hand help in creating these loops. Students who have difficulties with fine motor skills can also benefit from hand over hand help, or asking for help from students. This again, reinforces positive social skills and teaches students to ask for help when needed. 4. The artists will end up creating multiple hanging recycled loop chandeliers that can serve as decor in the art space. It is also a daily reminder for the children on what they were able to create when they worked together. The art educator can do informal assessments while students are working. Teachers should monitor whether the students grasped the concepts, whether they were able to follow classroom rules, and how much effort they put forth. Due to the fact that there are no individual projects the educator must primarily assess the process. Recently my students did this lesson to tie in recycling with their art lessons. The children had great fun literally working under and over their group project instead of working two-dimensionally on a flat surface. Students were unable to monitor the progress of others so it allowed every child to work at their own pace without anyone getting self-conscious about their contribution. This element is very important for confidence building for our students with special needs. The lesson also allowed students with kinesthetic needs to use some of their energy and physically move around the art space. 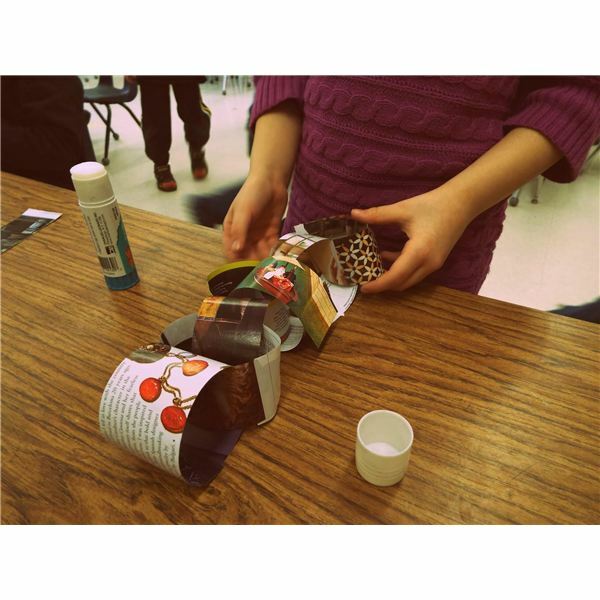 These accessible art projects work for students of varying abilities. They are excellent choices for the inclusive classroom.